protection | You Can Shake the Gates! protection – You Can Shake the Gates! You Can Shake the Gates! There are basically two areas that I’d like to suggest for prayer today. First regards our ministry partnerships. As missionaries serving with Pioneer Bible Translators, we compose a budget each year which is reviewed by mission leadership and either approved or not approved by our board of directors. It’s an interactive process that usually sees the initial budget tweaked and streamlined. Faithful stewardship of resources is one of our core values and one reason we appreciate the ongoing accountability of the budgeting process and PBT’s commitment to an annual audit, membership in the Evangelical Council of Financial Accountability, etc. Currently, we have pledges that cover about 1/3 of our approved budget. Before we can leave for Papua New Guinea, we must be at or near 100% of our approved budget–so as not to get to Papua New Guinea underfunded, which has many, many negative results. 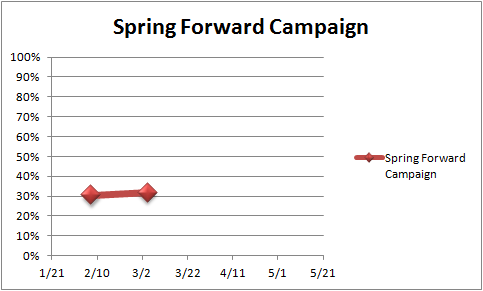 In response to a strong conviction that God wants us on the field in 2014, we began the Spring Forward Campaign, an effort organized to increase our monthly pledges from 1/3 of budgeted needs to 2/3 of budgeted needs within the space of two months. We are asking God to provide the next 1/3 of our budgeted needs by May. Is God calling you to join the prayer and provision team? Click here to drop us a note or click here to visit the donate page. One of the major tasks that we had in the early days of our association with the Somau Garia people was training local Somau Garia speakers, most with little formal education, to do the work of Bible translation. Our team is a great picture of the way in which God uses people with all kinds of gifts and talents, in community, to accomplish His purposes. I bring formal training (like translation principles, exegetical skills, etc.) to the table. My Somau Garia brothers bring facility with the language, insiders’ knowledge of the culture, its history, and a great capacity for learning to the table. Each of the people we’ve worked with over the years has given sacrificially to see the translation of the New Testament into their heart language have even the slightest chance to become reality. Pray for God to protect each of these men from the deadly attacks of the enemy. They are threats to the diabolical kingdom and are generating threats to his grip on these people. Pray that their hearts will remain steadfast, that their energy will remain strong, that they will not give way to temptation or to despair as they draft. Pray that God will call them out and empower them for the ministry that He has prepared beforehand for them to walk in. Thank you for interceding on our behalf. We are grateful for the prayer and provision team that God is assembling to insure that there will be a strong church among the Somau Garia people–whom He made for His glory! Have you ever read these well known words from Hebrews 4:12-13? For the word of God is living and active, sharper than any two-edged sword, piercing to the division of soul and spirit, of joints and marrow, and discerning the thoughts and intentions of the heart. And no creature is hidden from his sight, but all are naked and exposed to the eyes of him to whom we must give account. Because these verses are plucked from their context, the fuller impact of what they are saying is lost. The prior discussion is about . . . rest of all things. The writer speaks of those who do not enter rest and those who do. Two conditions are specifically mentioned which characterize those who do not enter God’s rest: disobedience springing from disbelief. The writer exhorts the reader to make every effort to enter His rest. Today, if you hear his voice, do not harden your hearts. The writer indicates that those who did not enter into God’s rest saw the works, the miracles that He did in the wilderness and yet they longed to return to Egypt where, though their labor was heavy, there were leeks and onions in every pot. They trusted in their Egyptian slave masters more than they trusted in the Almighty, who had delivered them from the Egyptian army, who had fed them manna and quail, who had given them water from a rock. His tabernacle was in the midst of this people. They could physically see his presence and discern his leading. There was no ambiguity and yet the did not believe He would deliver them to the place of Promise. They hardened their hearts against Him and they fell in the wilderness. They did not enter the Promised Land, though their children did. They did not enter into the promised rest. We walk in the wilderness today. Though we have the Holy Spirit, the Scriptures in our heart language, and perhaps the most advanced technology of any time or place, we are tempted to follow the world system to a falsely promised land of security and peace. We hear these promises at every turn. Yet, as believers, our inheritance, our security, our protector, our deliverer is not in Washington D.C., 10 Downing Street, the Kremlin, or Beijing. Our Deliverer calls us forth with Word and Spirit. Let us therefore strive to enter that rest, so that no one may fall by the same sort of disobedience. What was it the Psalmist sang? Oh, that Israel would have sang this song in the desert. Their disbelief did not allow them. What was it that sprouted such disbelief? Take care, brothers, lest there be in any of you an evil, unbelieving heart, leading you to fall away from the living God. But exhort one another every day, as long as it is called ‘today’, that none of you may be hardened by the deceitfulness of sin. Hence we come to verses twelve and thirteen. The writer rightly points out that striving to enter rest is inextricably linked to allowing the word of God to do spiritual surgery in your life, by the Spirit, so that when our hearts will not be hardened by the deceitfulness of sin. The word of God roots out the deepest, most deceitfully hidden sin in our lives and exposes it. If we are not deceived by sin, by the word we are able to recognize it for what it is and to confess, repent, and lay it all down at the feet of him who is Lord of our hearts. Sin has no opportunity to harden if the Spirit of God and the word of God are continually tenderizing our hearts. The importance of God’s word in faith and life, even in the ability to enter God’s rest, cannot be denied. Is it not vitally important, then, to insure that those lacking the word of God in their heart language gain access to it? Grant Access to the Word! You can be part of the process of granting access to the Somau Garia people of Papua New Guinea. Firstly, you can join a team of praying believers, crying out to God to provide his word to these people. To do so, click here to drop us an email letting us know of your desire to do so. 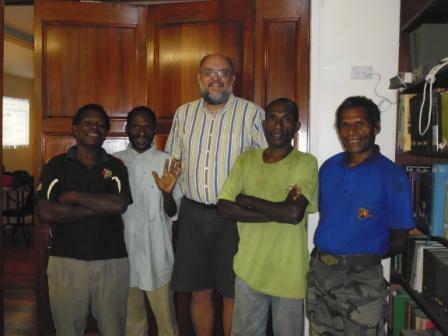 Secondly, you can add financial resource to your prayers, enabling Pioneer Bible Translators to send us out to Papua New Guinea to finish translating the remaining twenty-six books of the New Testament. To join the provision team either on a regular basis or with a one-time, year-end gift, click here. Thank you for reading and thank you for contributing to the process of granting access to the most vital resource in history of a people: the Word of God. September 5 (Day 26) — Pray today for Todd’s physical, emotional, and spiritual stamina. The oppressive heat and humidity can drain the strongest person of strength. Madang Province sits 5 degrees 28 minutes south of the equator and the rainfall (at Uria) is an amazing 190 inches of rain a year. Pray that Todd won’t pick up any amoebic, malarial, or fungal infections. Pray that despite the radical change in time zone, diet, and environment, he will be able to sleep well and function at prime capacity, feeling rested and strong. The cultural and spiritual landscape is populated with enough change, threat, and adjustment that the average missionary (or visitor) can tire easily. Pray that through all the adjustment, Todd will be attuned to the still, small voice; attentive and yielded. © Todd Owen and Shake the Gates!, 2013, 2014, 2015, 2016, 2017, 2018. Unauthorized use and/or duplication of this material without express and written permission from this blog’s author and/or owner is strictly prohibited. Excerpts and links may be used, provided that full and clear credit is given to Todd Owen and Shake the Gates! with appropriate and specific direction to the original content.